I went into my daughters little school to help out and make some GIANT Easter Eggs with the kiddies! I loved it and so did they, and the eggs really “Easter Up” the classroom now! 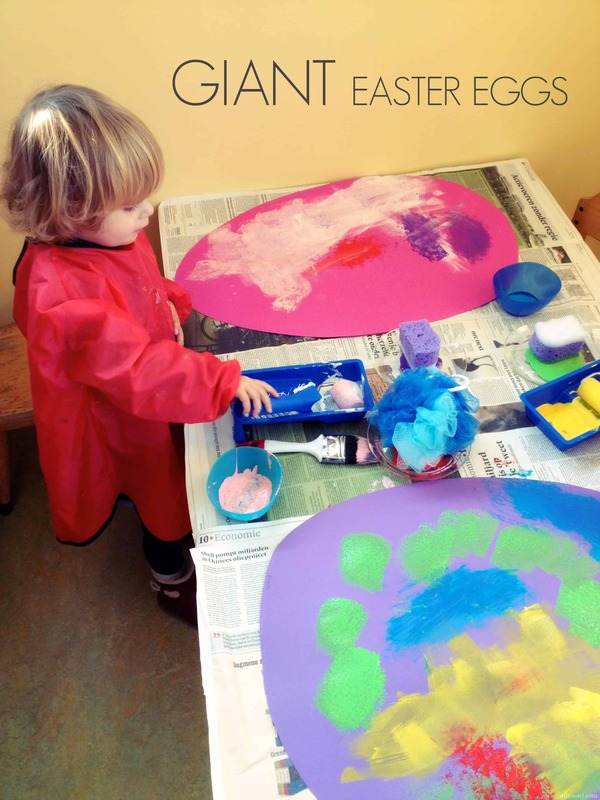 This is a fantastic process art large format painting activity for kids! I like Art in BIGGER formats with younger children! I find they are less careful, more free to move their entire bodies and the overall experience just somehow seems to be more about the process than the end result. Children armed with with a small piece of paper and pencil will sit and hold the pencil tight and try very carefully to draw something particular. Children with a giant Easter Egg in front of them will sit and smile and say “roll roll roll roll” again and again!!! Rolling because we used (amongst other things) proper roll paint brushes – the kind you use to paint your house! There were also bigger normal brushes and sponge stamps, but the roll roll won hands down!! Every egg turned out so different! 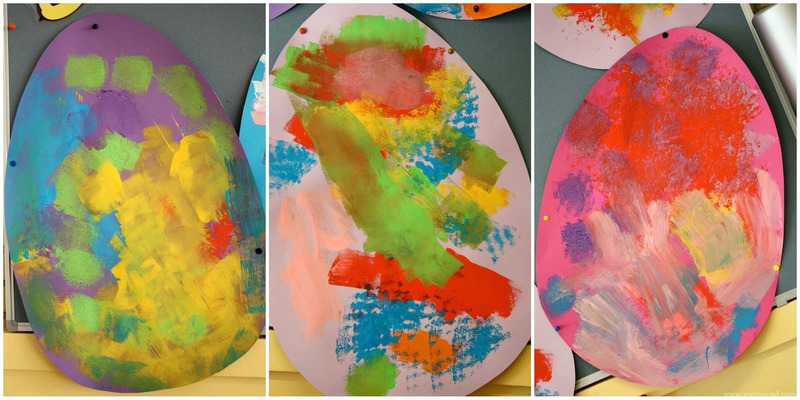 This is a fantastic Easter Decorating activity – and great process art for Children! This is definitely something to do! !